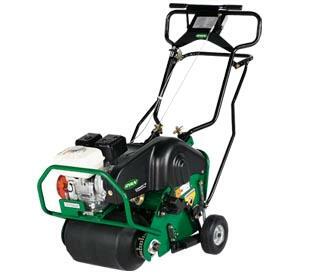 Aeration Pattern 3.75 in. x 7 in. Tines Hollow, austemper-hardened steel; 3/4 in. diameter coring type tines; 30 tines per aerator. Dry with Weights 244 lbs. Water in Drum with Weights 280 lbs. * Please call us with any questions you may have about our lawn aerator gas powered in Kingsport TN, Johnson City, Elizabethton, Rogersville TN, Gate City VA and the NE Tennessee, SE Kentucky and SW Virginia Tri-State Area.